For the fourth consecutive year, Grant UK is supporting local premiership club, Bath Rugby, continuing as a Business Partner for the 2018/19 season. 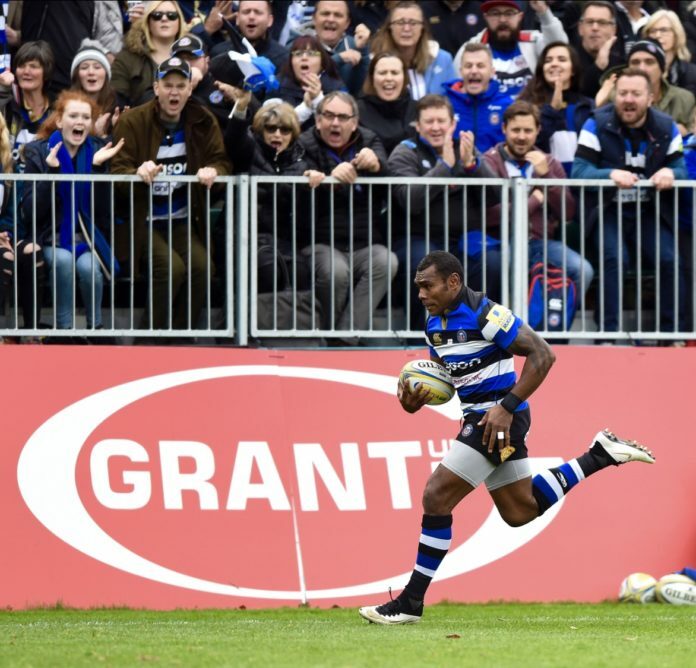 Grant UK’s association with Bath Rugby started in 2015 and the Company is pleased to continue its support for the boys in Blue, Black and White for another season. The 2018/19 season commences at the end of August followed by the Club’s first home fixture set for 8th September when Bath Rugby will be taking on local rival, Gloucester. The new season is set to be an exciting one with local derbies, national clashes and international games filling the fixture list. Grant UK’s presence will be felt at the Rec with their eye-catching perimeter board displays located pitch-side. In addition, the Company also has its hospitality box where guests will be welcomed to for all of the home fixtures to enjoy the best of the rugby in great comfort. Being based less than an hour from Grant UK’s Head Office in Devizes, the Rec will have the support of both staff and customers who will be cheering on the team throughout the season.